2018 Hall of Fame Nominees: Gary Bauer, Mark Bender, Jesse Birgy, Kevin Dabney, Scott Douglass, Jan Gabriel, Marty Garza, Jake Henke, Bobby Holman, Jack Koberna, George Link, Charlie Mancuso, Don Maples, Dave Marquart, Dave Matthews, Mike Nickell, Dan Runte, Mike Speller, Cliff Starbird, and William Townes. 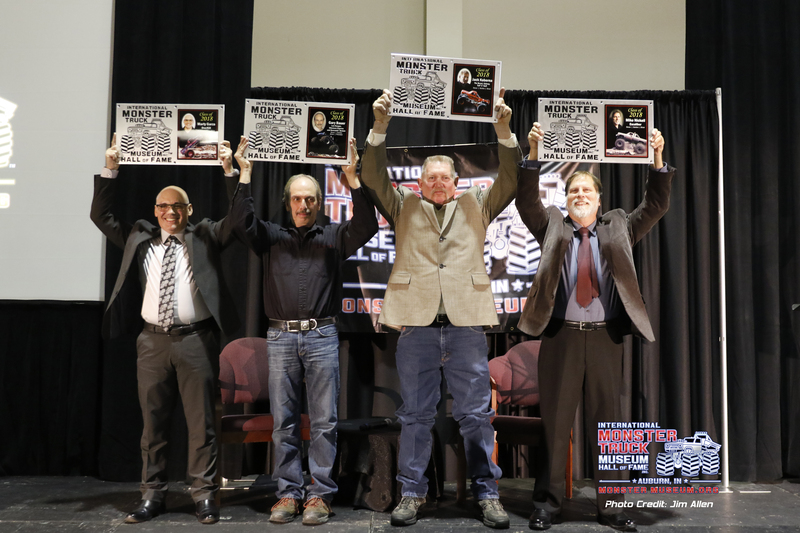 A huge THANK YOU to everyone that made the 2018 IMTMHOF Ceremony a resounding success, the volunteers, the monster truck owners who graciously brought their trucks, the R/C crew, the collectors, the inductees and most of all the fans that not only make it a successful event and a celebration of the family that the industry is. Thank you from the bottom of our hearts. See you next year!